Marketing 2 Point 0, Inc. honored two teachers at Central Elementary School in Moore, OK with appreciation awards and also provided STEM assemblies for the students to enjoy. In the fall of 2016, the president of Marketing 2 Point 0, Rob Stone, had organized two STEM assemblies with a school very near and dear to his heart. Central Elementary School of Moore, OK was the school Mr. Stone attended as a child and it was also the place where he met his best friend and now, business partner, Tim Williamson. It was because of the technology portion of the “Science, Technology, Engineering, and Math” educational initiative that sparked an interest for these two to become the entrepreneurs they are today and it was also the inspiration that led them to give back to their old school nearly 20 years later. Of course, Mad Science can’t always be there to put that spark into a child, thus this task falls upon the wonderful teachers. Most people know that teachers don’t get paid enough to be there, but it’s the true teachers that enjoy being there regardless of the paycheck. That doesn’t mean, however; that they don’t deserve to be recognized for all of their hard work. Most people also know and understand that at times state budgets may not allow for appreciation to be shown as needed and that is precisely why on top of giving the students something to enjoy, Mr. Stone decided to sponsor these assemblies and show appreciation to two worthy teachers chosen by the school's administration. The event sparked so much interest that even Fox 25 News sent representatives out to capture live shots of Mr. Brock doing some Mad Science experiments, interview one of the lucky teachers, and interview Mr. Stone! Click for a preview video. The Mad Science show started when Derick Brock, deemed “Professor Mad,” took the stage and went through a series of exciting experiments. The best surprise came at the end of the presentation. Professor Mad called for the last volunteers to be Mr. Stone and one of the teachers from the audience. The chosen teacher helped with the final experiment of mixing chemicals in various sized flasks which led to an explosion of fun colored foam. Afterwards, the teacher was presented with a Certificate of Appreciation and a $50 gift card to Amazon by Mr. Stone. For the first assembly the award winner was Crystal Rainey (5th grade) and for the second assembly the award winner was Amy Martin (3rd grade). At the end of the assembly, Mr. Stone decided that the event was so much fun and he loved giving back to his community so much that another STEM assembly was scheduled for a school his children attend in Edmond, OK. The plans were set to sponsor the next STEM and teacher appreciation assembly at Charles Haskell Elementary! Have a school to honor? 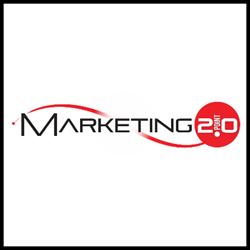 To learn more about how Marketing 2 Point 0, Inc. can connect a Mad Science representative to the school of choice, please contact M2P0 by clicking here.